This past Monday Zach moved up from the Sweet Peas to the Bluebonnets at school. That means he is officially a toddler as the Bluebonnets are 18-24 months old. There are new babies, all fat and rolly and who are barely able sit up in his old classroom now. His new room is very big boy. They eat breakfast with a spoon at a table, have a “reading area” with pillows and a little play house that he adores. It was not as hard for me as I thought, I guess becuase he really does not look like a baby any longer. He is much more a Bluebonnet than Sweet Pea. What a change from his first day of school a year ago. I thought it was sweetly ironic that he switched classrooms a year to the day that I went back to work. I think that your blog is therapy for me. You always prep me for what is just around the corner with Jack (who is 15 months old today) and moving to the toddler classroom at the end of August! 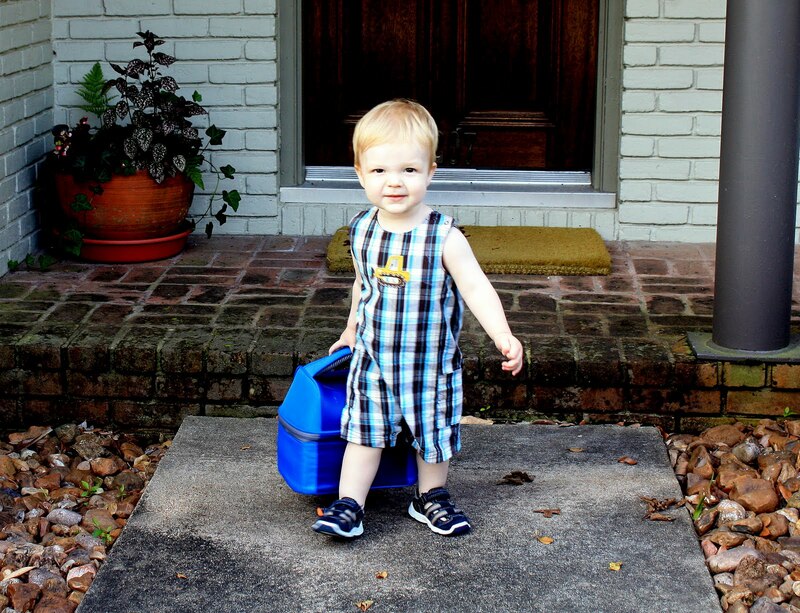 Zach is absolutely precious in his “big boy” school outfit. I adore both our “big boys”! 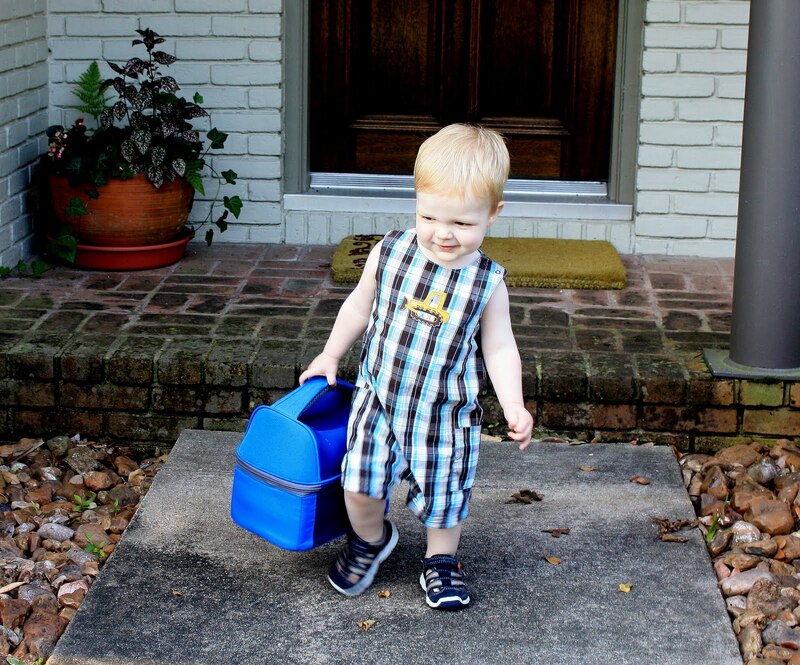 that's a mighty big lunch box zach is carrying!